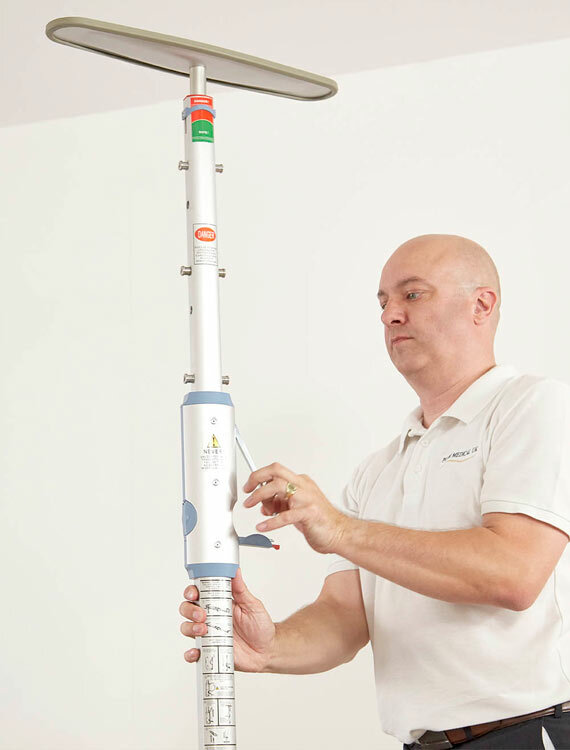 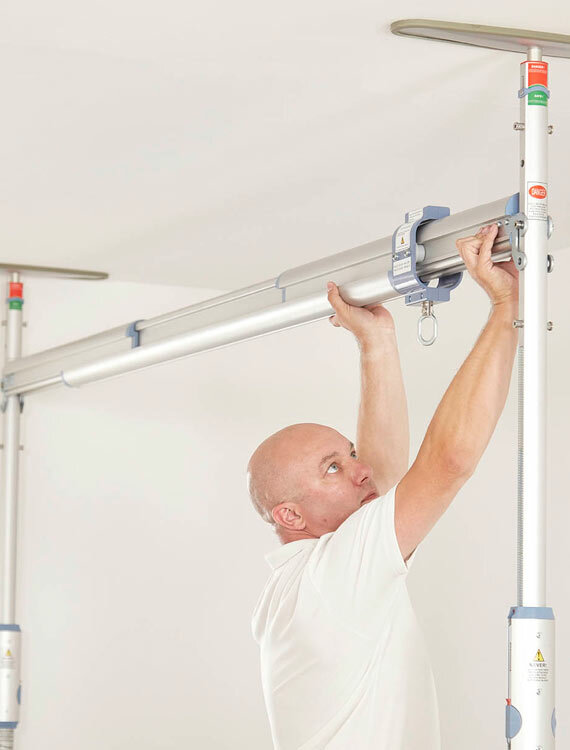 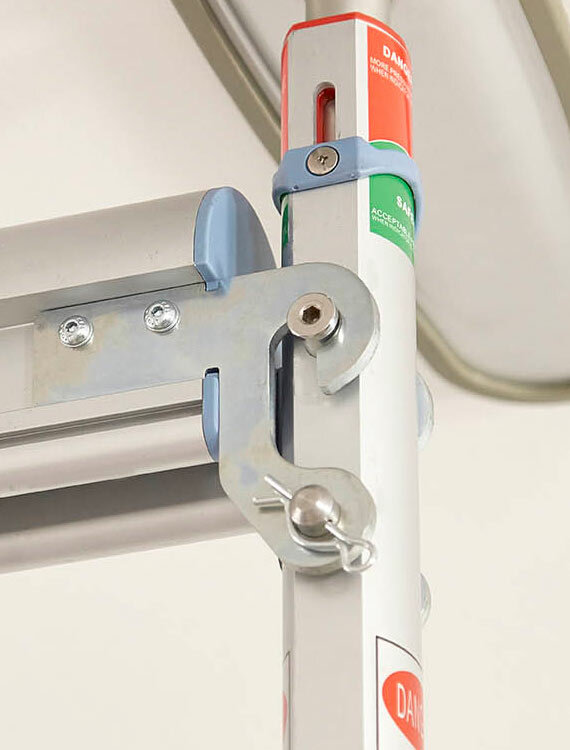 The Prism Easy Fit Gantry System ‘pressure fits’ between the floor and a structurally suitable ceiling at a maximum height of 2.1 to 2.8 meters, or 7 to 10 feet, providing a stable, reliable hoist track where a fixed ceiling track is not available. 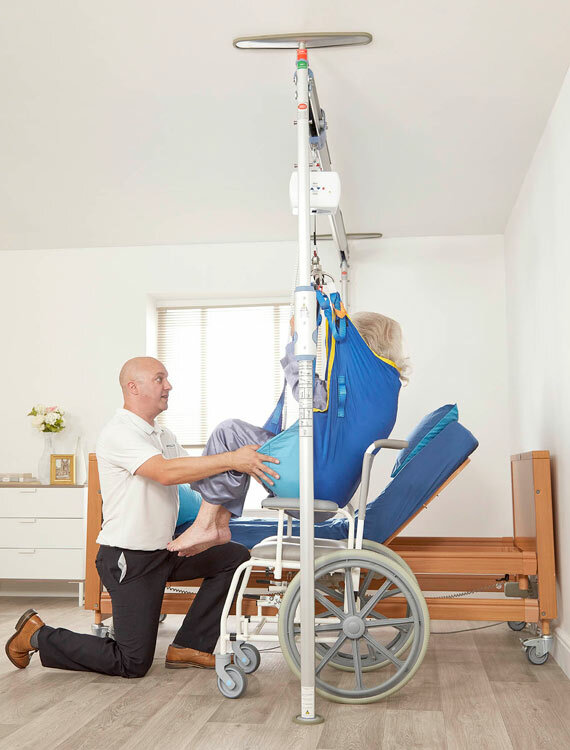 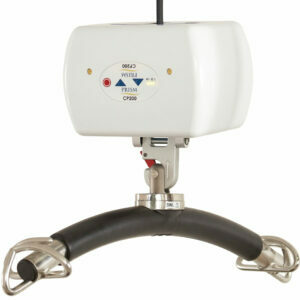 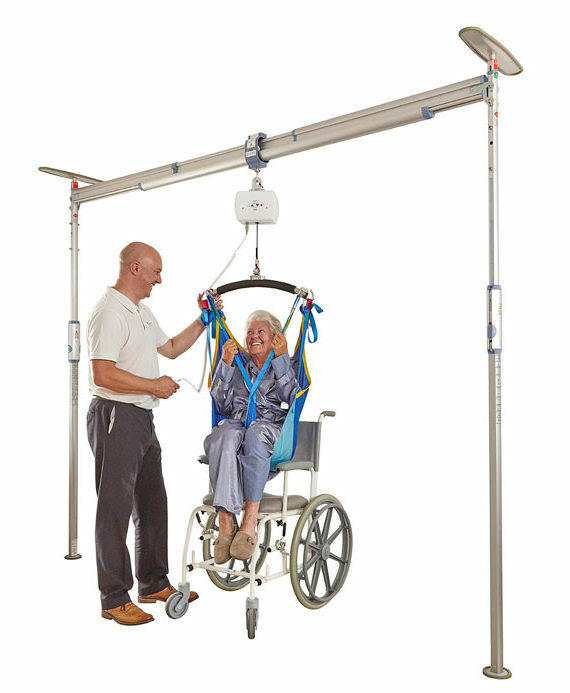 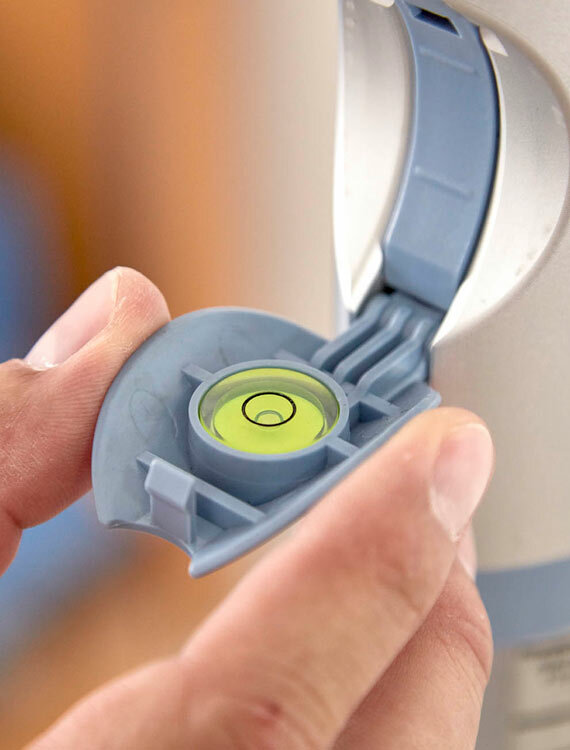 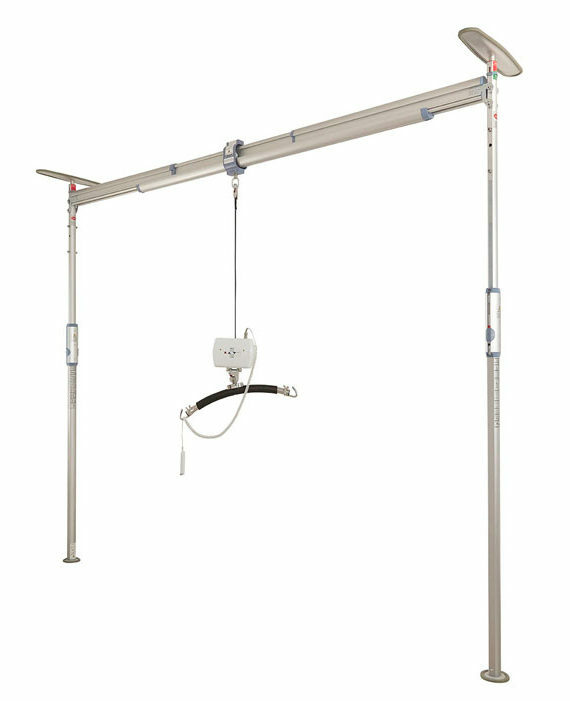 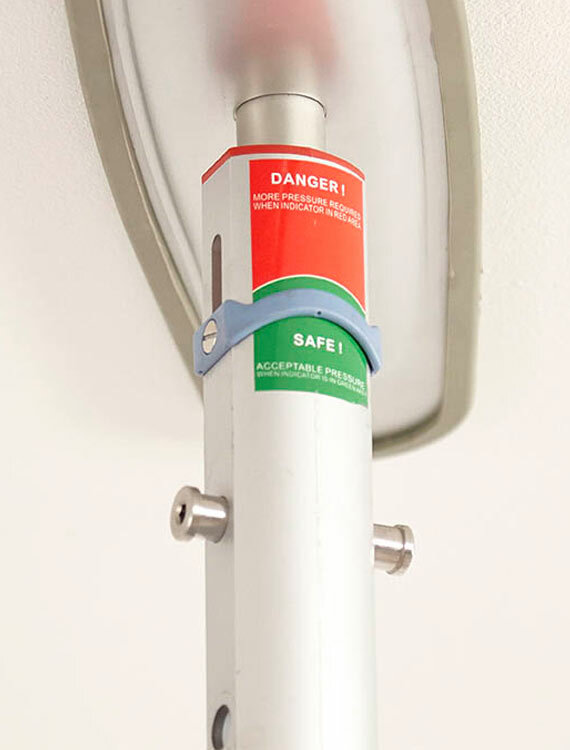 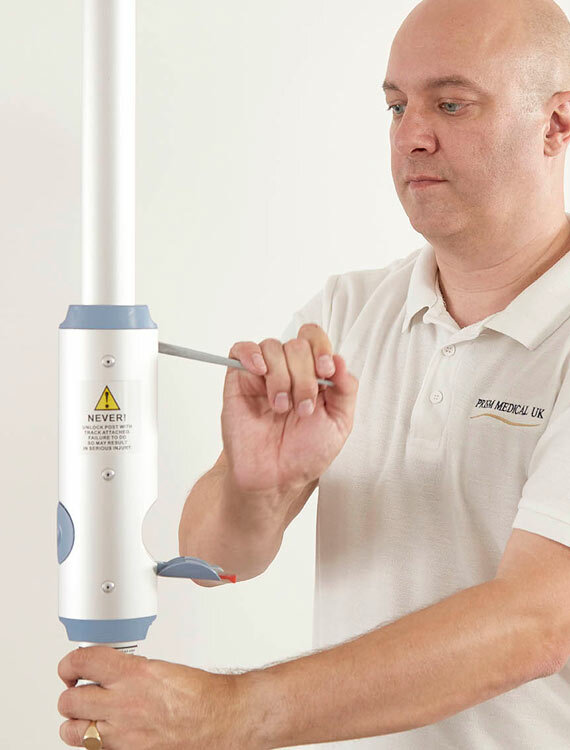 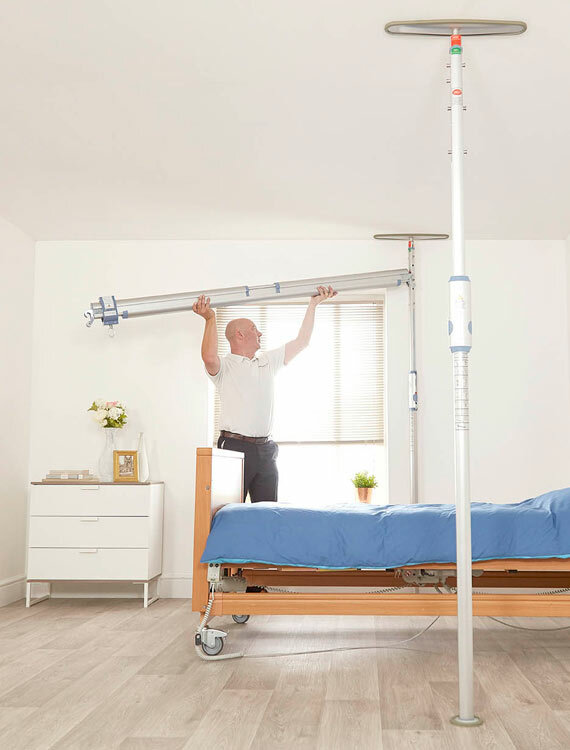 When used in conjunction with a portable track hoist, such as the Prism CP200, the system is perfect for home care, allowing users to extend the time they remain in their own home by years. 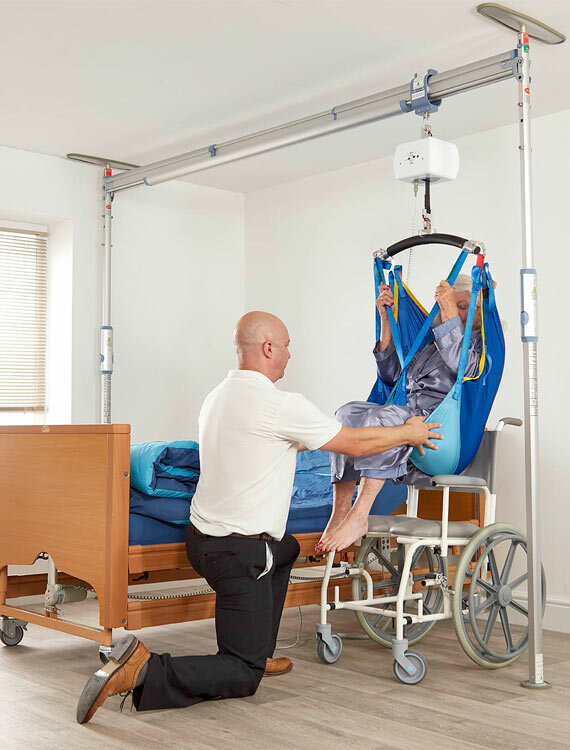 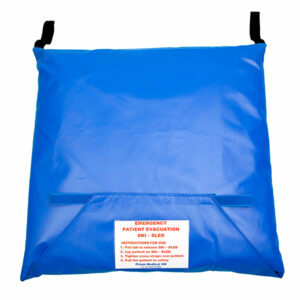 It’s a cost effective solution that is simple to assemble – without the need for tools, has a safe working load of 200kg, which is approximately 31.5 stones or 440 pounds, and caters for the requirements of both the patient and caregiver, providing a safe and dignified experience for both. 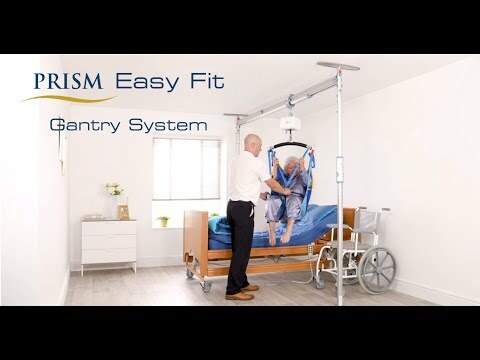 The Prism Easy Fit consists of 6 main pieces that combine to make a sturdy semi-permanent structure that can be used without any structural alterations to the building. 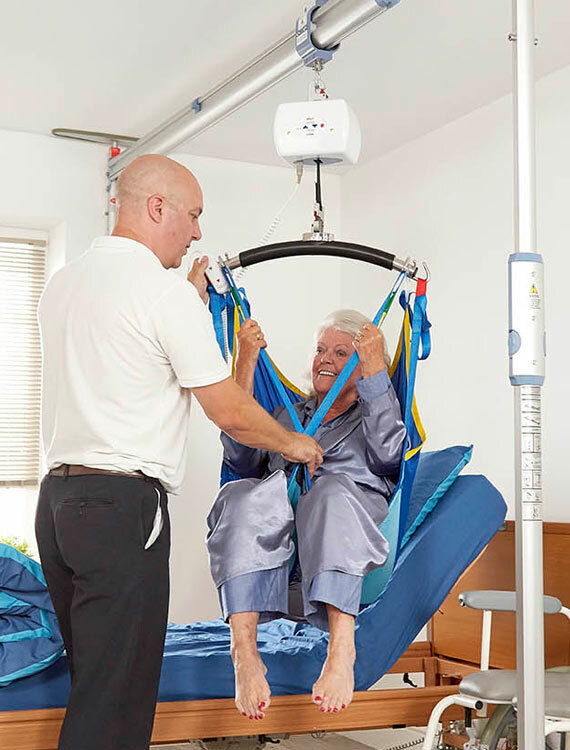 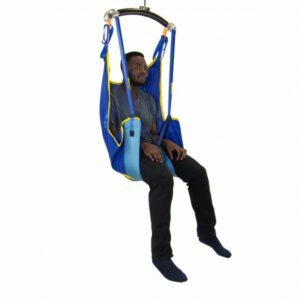 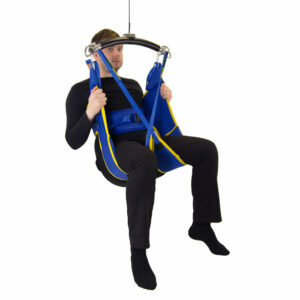 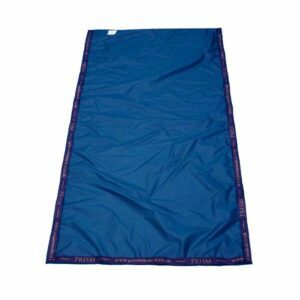 Complete safety, dignity and comfort for the client and carer. 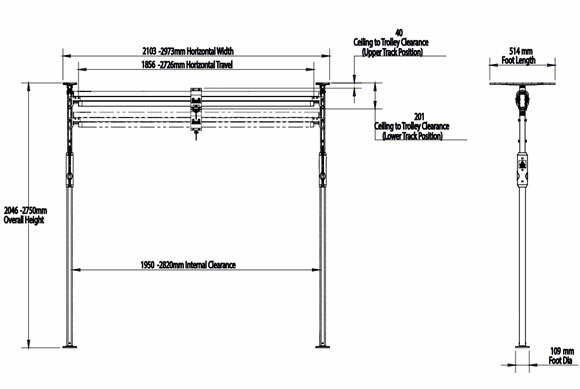 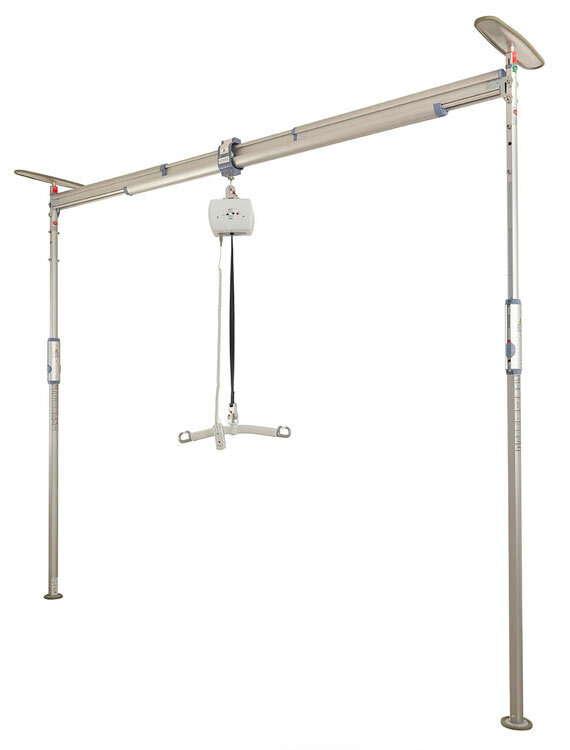 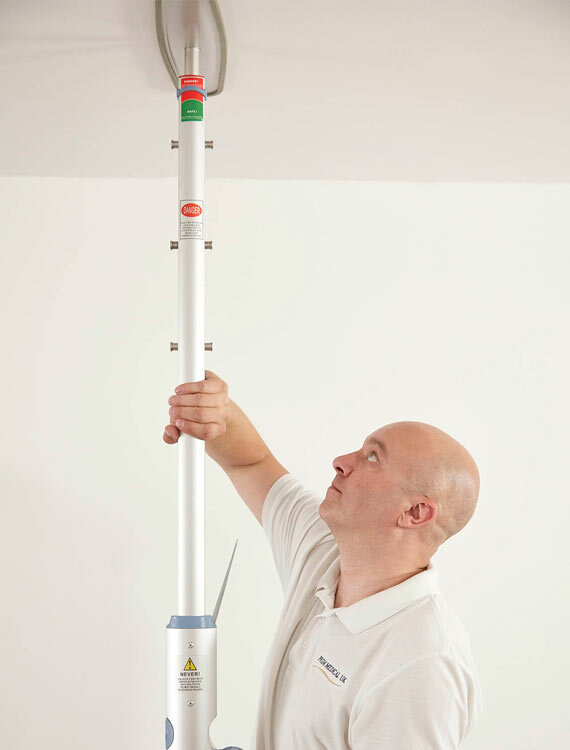 The Freeway Easy Fit Standing Gantry System comes complete with an extensive 1-year warranty.